REVIEW — Everyone’s seen those nylon drawstring bags that look like a modern replacement for a hobo’s bindlestiff. 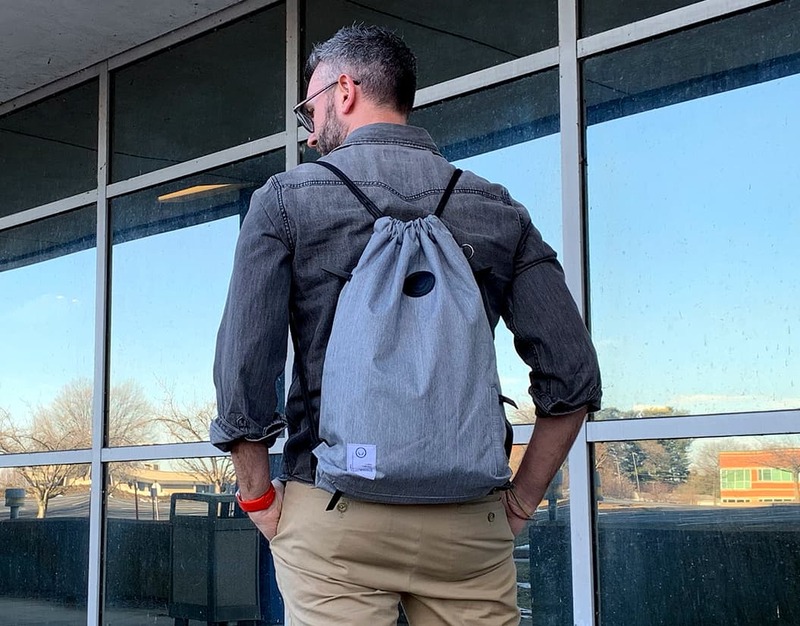 Usually they’re just cheap, single-compartment sacks used to tote a change of clothes, but Rever Brand offers an evolution on that design with their SERK Drawstring Backpack. Read on to see how it stacks up. The SERK is an upgrade to the iconic drawstring backpack design, utilizing durable materials, waterproof insulation and a unique duo-entry design that isolates wet and dry items. 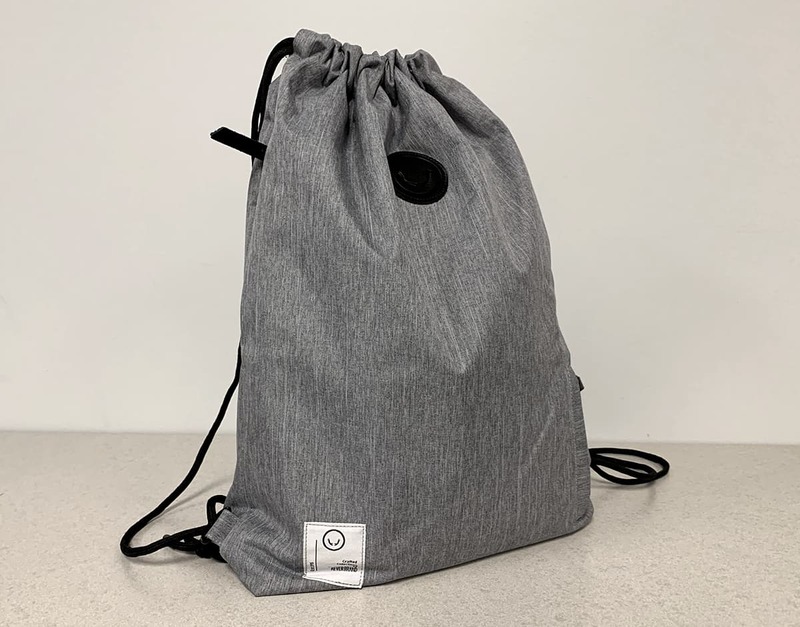 The SERK drawstring backpack looks a lot like a premium drawstring gym bag, but hides a pleasant surprise. 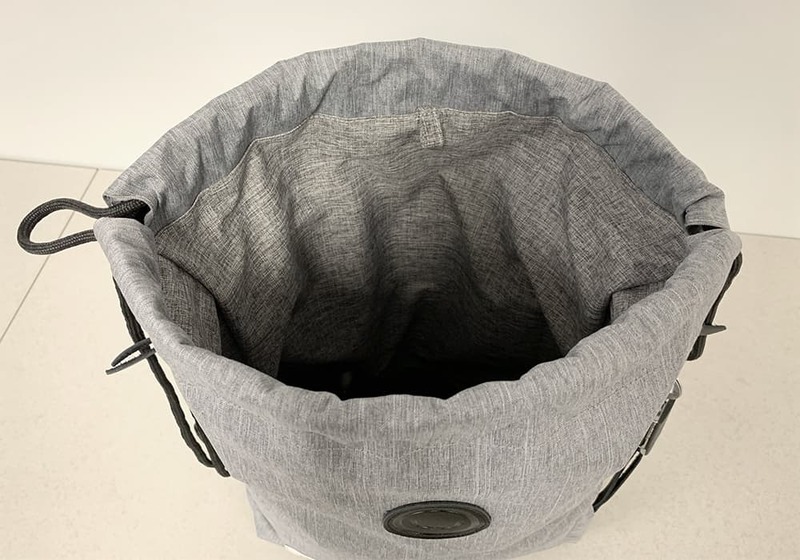 While other bags offer one single large chamber for toting around clothes and shoes, the SERK proves a separate, waterproof compartment accessed from the bottom of the bag. This allows an isolated area for storing wet or dirty items or shoes while keeping the rest of your stuff clean. The rear view side that lies against your back. 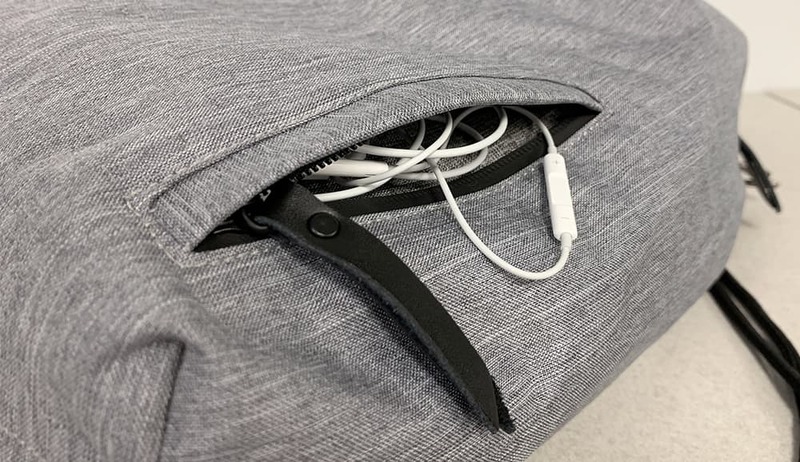 Additionally, the SERK has several internal pockets and two small RFID protected external pockets that can be accessed by weather-sealed zippers, perfect for storing your phone, wallet and other items that need to be quickly accessed. The side pockets, while easily accessed wearing the pack, are indeed fairly small. I had a hard time fitting my entire hand inside to fish smaller items out. 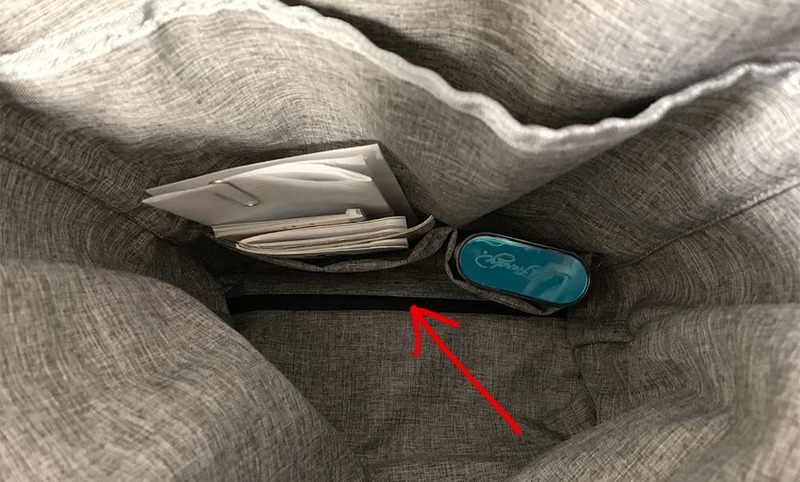 Phones and wallets should be a snap to get out, but anything that may find its way into the very back of the pocket like a pen or pack of gum may be hard to nab quickly. Smallish side RFID protected pockets for your phone, wallet, earbuds or whatever will fit. 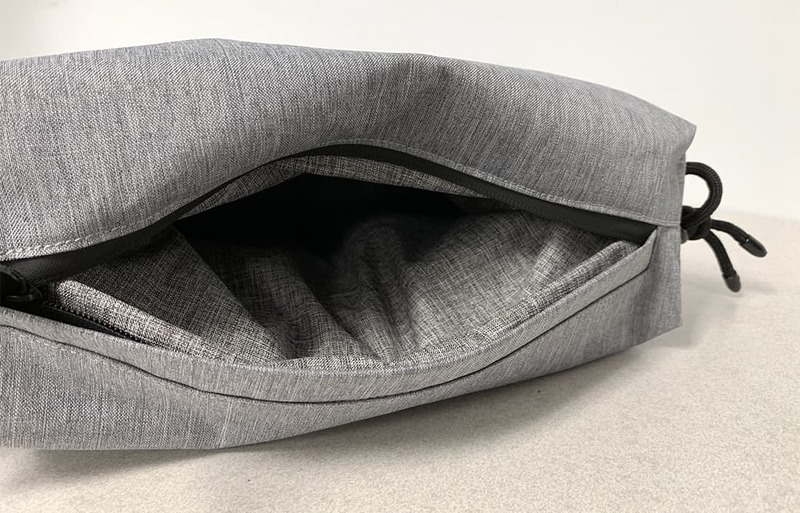 This bottom entry compartment is separated from the main compartment with a zipper in the bottom of the bag, allowing it to be rolled up and stored until needed. That was a clever touch to keep that part out of the way when using the bag in the conventional way. There’s the hidden bottom compartment on the underside of the bag. And here’s the zipper that allows the bottom compartment to expand into the main chamber. The SERK’s outer material is a thick, slightly stiff, waterproof canvas. It’s much more durable than a typical gym bag, though I found it does take some adjusting to conform to the curve of your back and shoulders. It’s not uncomfortable, but I never got to the point where I didn’t feel like I had something on my back, if that makes sense… I was aware of that material, stretching and moving around with it on my back, and it made me wonder if I’d get annoyed with it after wearing the bag all day, or if I’d eventually get used to it. The top opening, when fully expanded, is very large. It’s worth noting that the bag itself isn’t totally waterproof, as in you couldn’t drop it into a lake and have everything be all right, seeing as there is obviously a big hole at the top of the pack where the drawstrings pull it closed. I couldn’t get it to close any tighter than the circumference of a small egg. I think that’s good enough for most, just don’t get caught in a downpour. For something that is made to be slung quickly on one’s back, I managed to accidentally pull the knotted nylon ropes through the d-rings a couple of times. That could easily be remedied with another (or thicker) knot at the end of the ropes, but the default size of that double-knot can be pulled through without much strength. Speaking of those straps, they’re definitely not as comfortable as most typical backpacks I’ve used. It is recommended that the content weight not exceed 4kg (about 9lbs). That doesn’t seem like a lot of weight for such a heavy-duty pack. While the diamond-braided ropes can withstand 700lbs, I think the weight limit recommendation is there for comfort’s sake. It takes some fine-tuning to get the dual straps to rest on your shoulder with equal distribution. You probably won’t want to overstuff this bag. Funny thing about those ropes, I remember reading on the original Kickstarter page for this product that they could be removed from the bag and unraveled like paracord in an emergency situation, because of their high tensile strength. I suppose this is true, provided you were later able to feed a new cord back into the bag! That’s just a fun extra feature worth noting. Here is the expanded bottom compartment inside the main chamber. 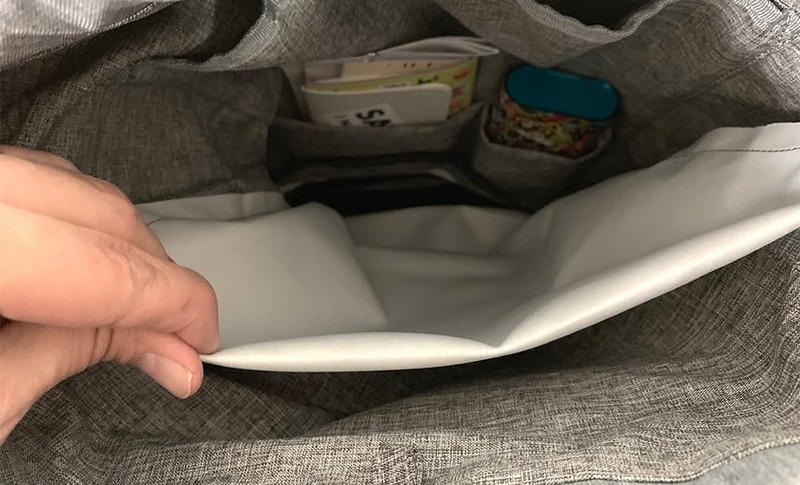 If you wanted to use the SERK as your daily commuter bag, as I did, once you get a laptop and a few other items in there, you might not have room for too much more before going beyond that weight limit and causing some discomfort on your shoulders. It definitely can be used as a work bag, the design even encourages it with pockets for a laptop, notebook and tablet, and padding on the bottom of the bag itself. I’d just caution against too much weight so that the straps don’t dig in to your shoulders. Best for light loads, I would say. And tough, to boot. 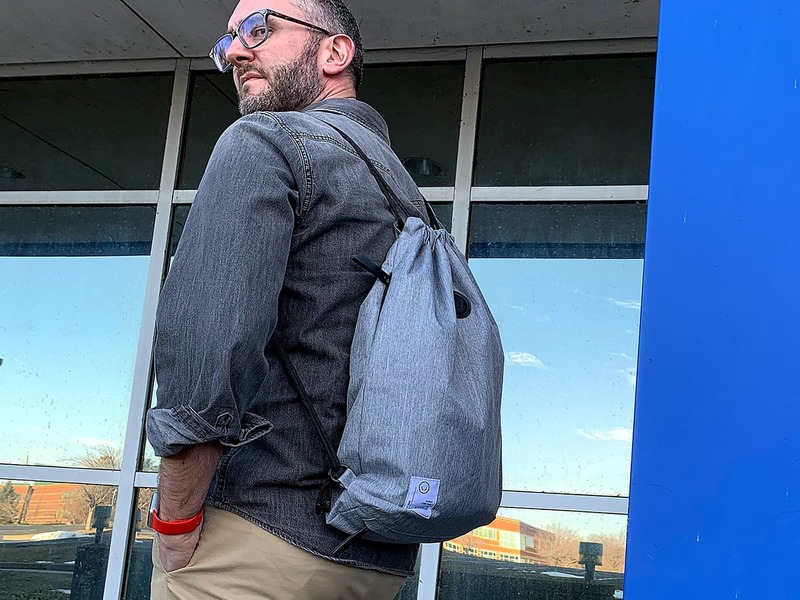 The SERK backpack stacks up to be a great replacement for that nylon gym bag, and could be an excellent day bag for hitting the beach or park. But you might find it a little lacking for the serious work commuter. Price: $40.95 in gray or $44.95 in black. Use the following code at checkout: Gadgeteer for 25% off your entire order until the 3/25/19. 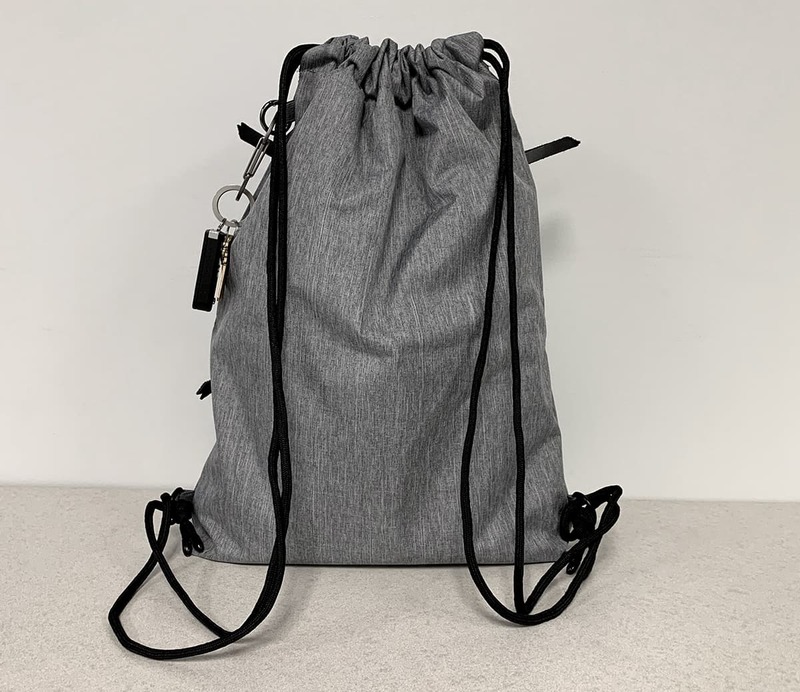 Where to buy: The SERK drawstring bag can be purchased directly from Rever Brand’s website. Source: The sample of this product was provided by Rever Brand.